Brandon Sutter (VAN - 21) gets the puck past Sergei Bobrovsky (CBJ - 72). Boone Jenner (CBJ - 38) slams Yannick Weber (VAN - 6) into the glass. 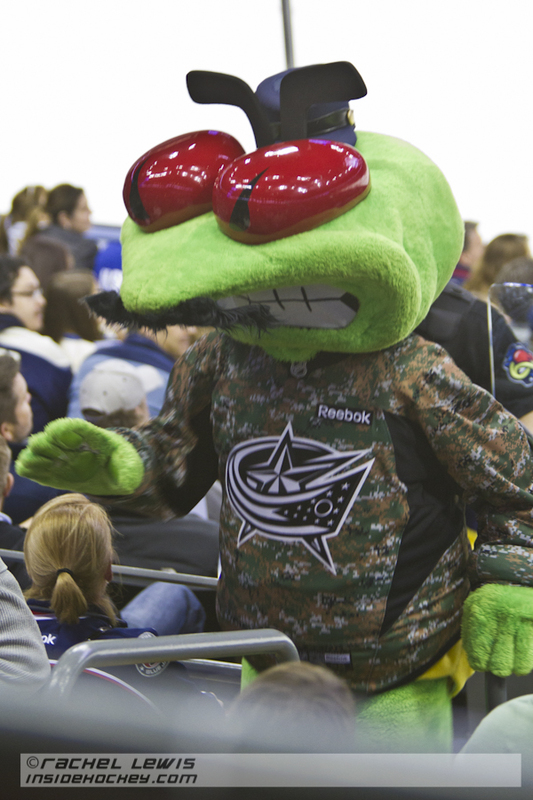 Blue Jackets mascot Stinger celebrates both Military Appreciation Night and Movember. 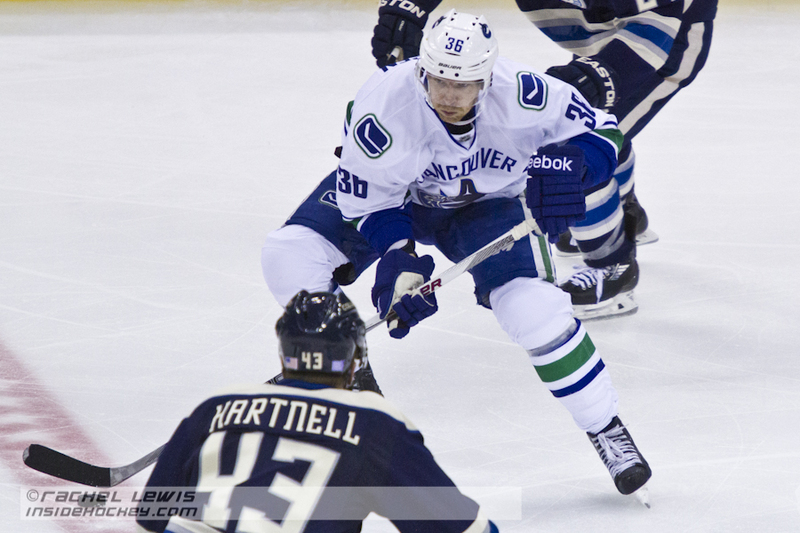 Janik Hansen (VAN - 36) skates the puck past Scott Hartnell (CBJ - 43). Scott Cracknell (VAN - 24). 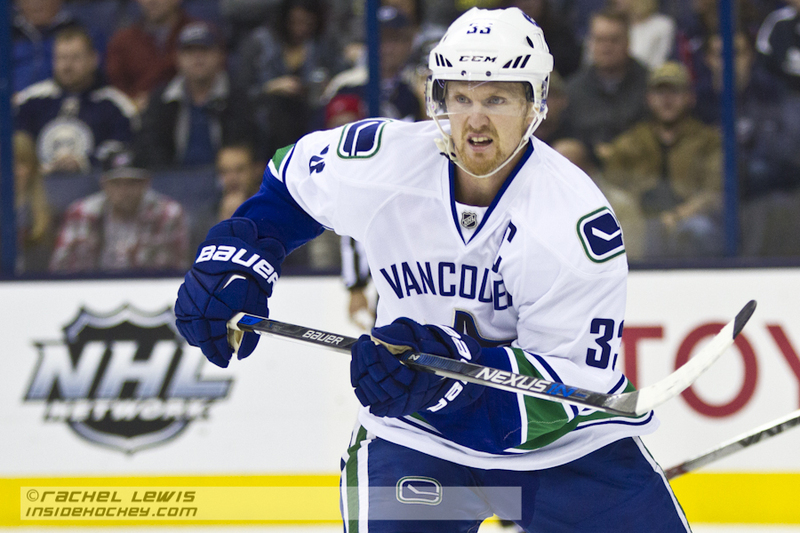 Henrik Sedin (VAN - 33). Bo Horvat (VAN - 53) nails Jack Johnson (CBJ - 7). 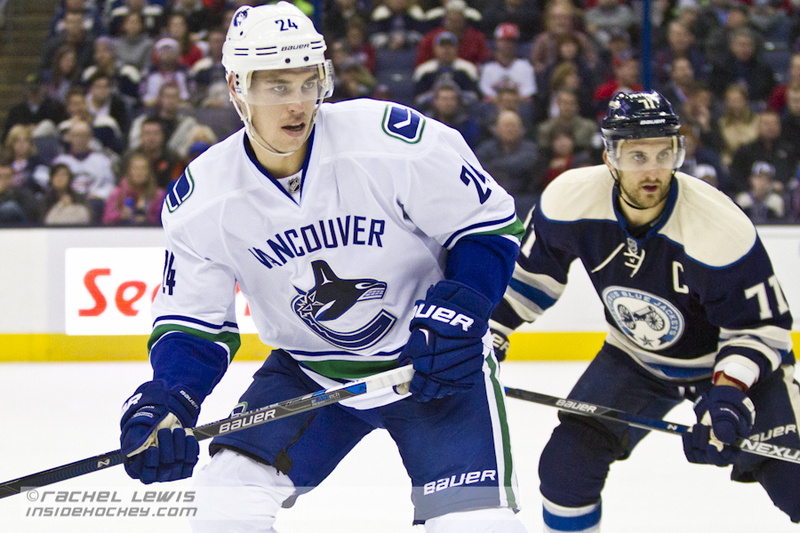 Adam Cracknell (VAN - 24) wins the faceoff against Ryan Johansen (CBJ - 19). Jack Johnson (CBJ - 7) scores a goal against Jacob Markstrom (VAN - 25). 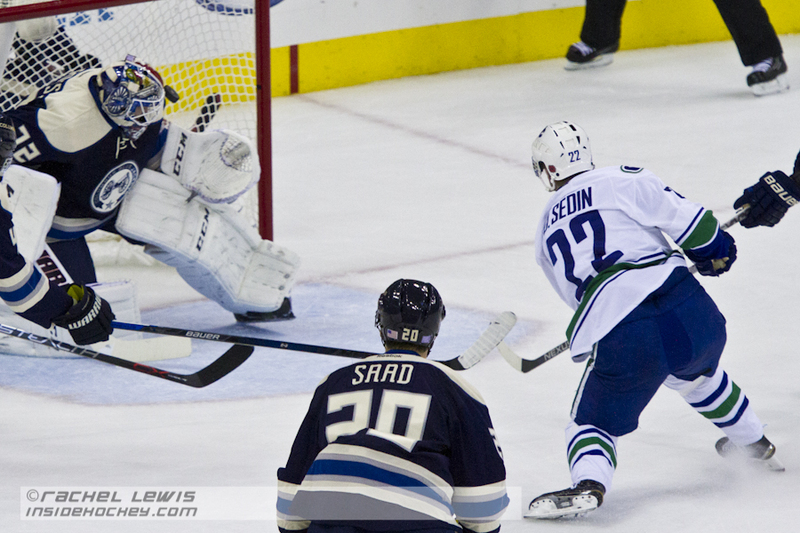 Daniel Sedin (VAN - 22) scores a goal against Sergei Bobrovsky (CBJ - 72). 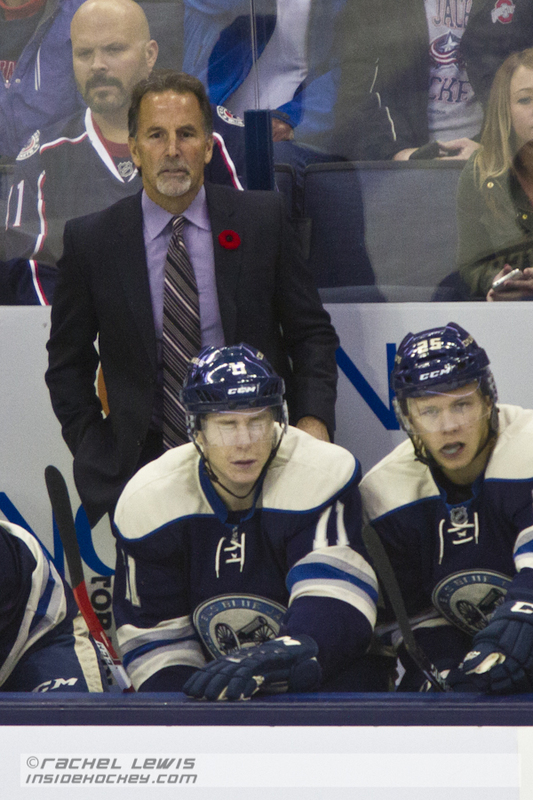 Blue Jackets head coach John Tortorella faces his previous team for the first time this season. Bo Horvat (VAN - 53) sports a poppy for Remembrance Day. Scott Hartnell (CBJ - 43) on Military Appreciation Night. Matt Bartkowski (VAN - 44) sports a mustache for Movember. Jacob Markstrom (VAN - 25) during warmups. 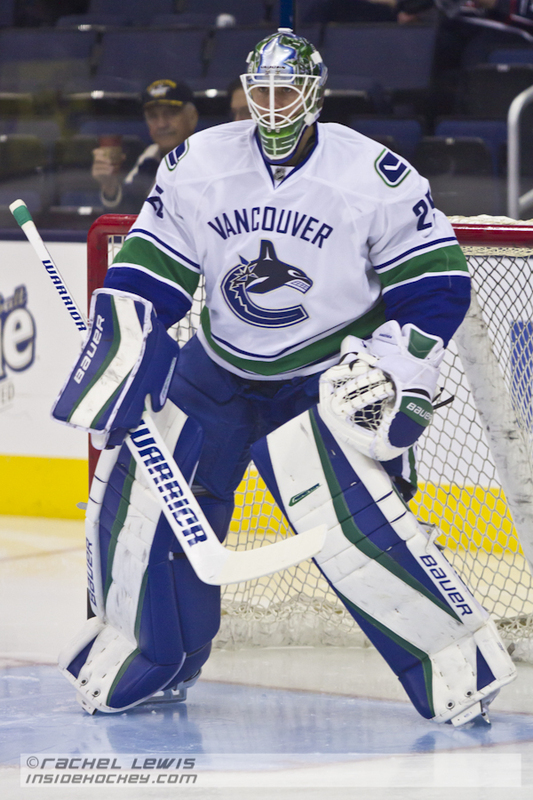 Jacob Markstrom (VAN – 25) during warmups. Matt Bartkowski (VAN – 44) sports a mustache for Movember. 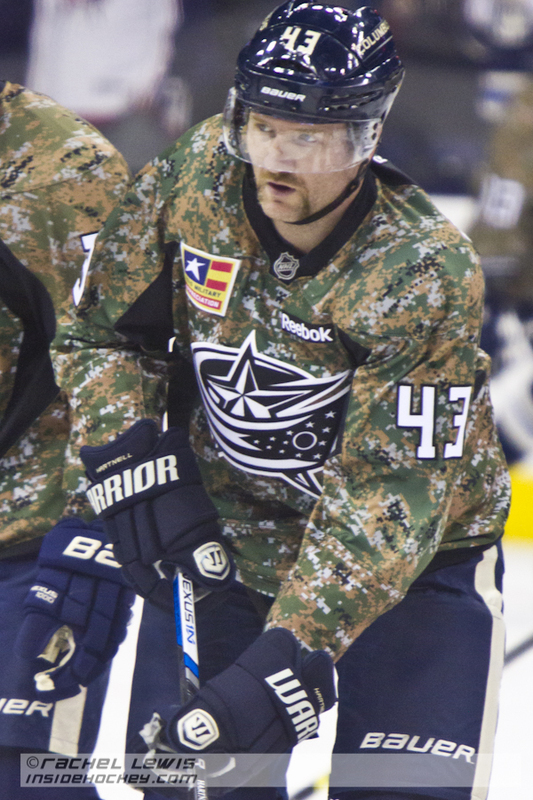 Scott Hartnell (CBJ – 43) on Military Appreciation Night. 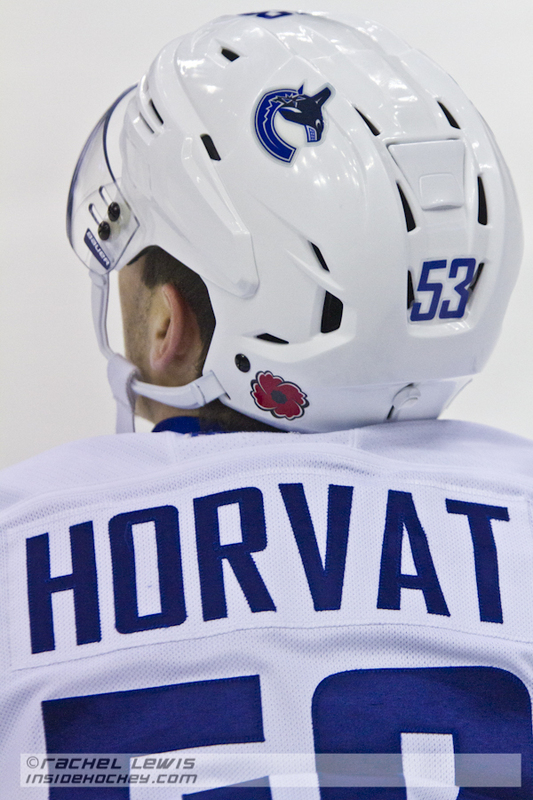 Bo Horvat (VAN – 53) sports a poppy for Remembrance Day. 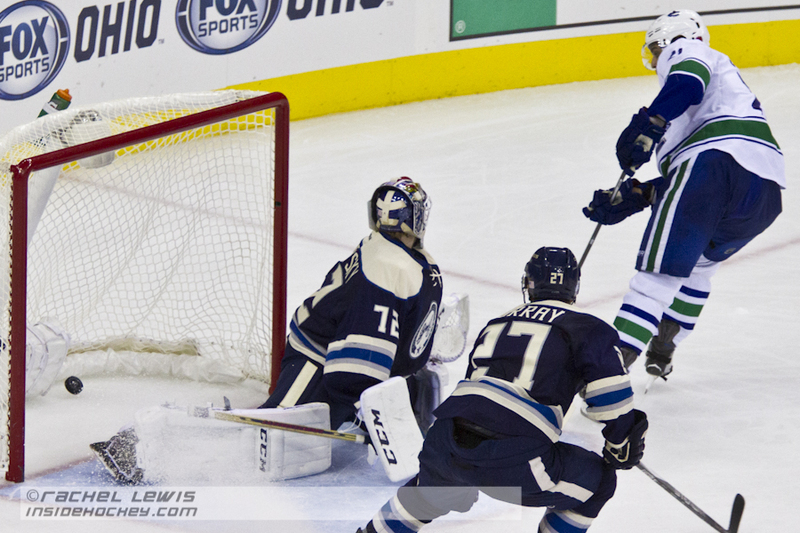 Daniel Sedin (VAN – 22) scores a goal against Sergei Bobrovsky (CBJ – 72). 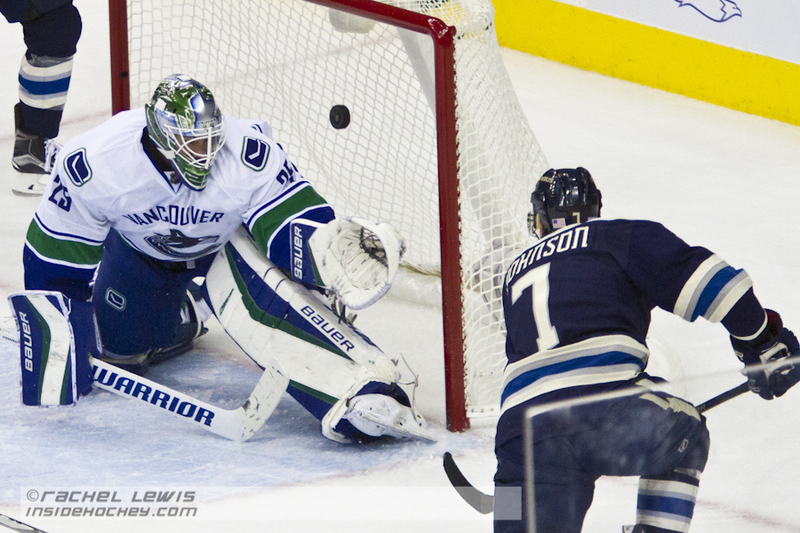 Jack Johnson (CBJ – 7) scores a goal against Jacob Markstrom (VAN – 25). 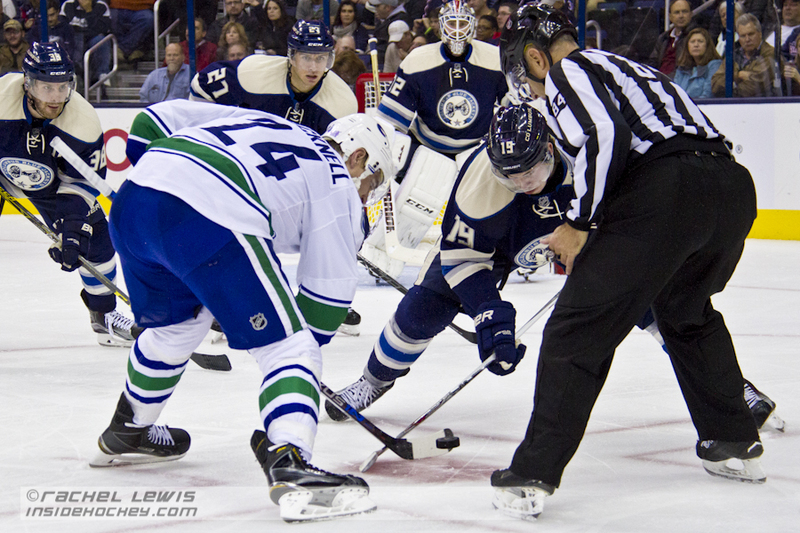 Adam Cracknell (VAN – 24) wins the faceoff against Ryan Johansen (CBJ – 19). 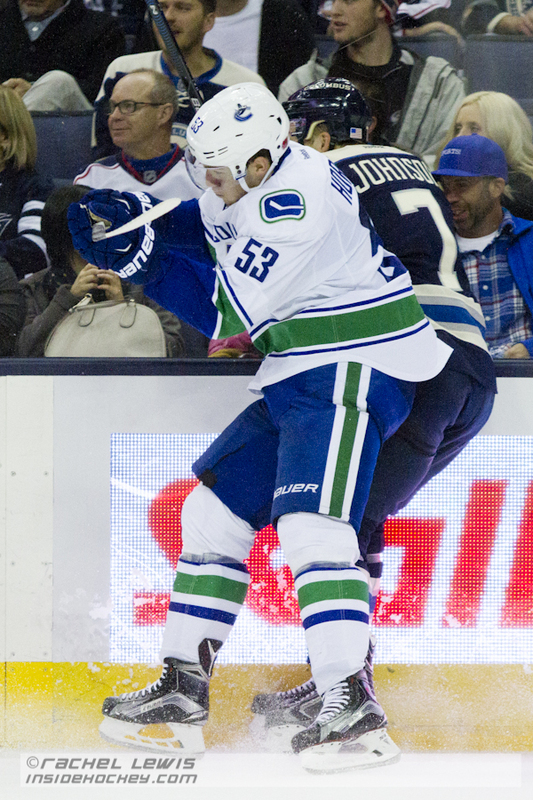 Bo Horvat (VAN – 53) nails Jack Johnson (CBJ – 7). 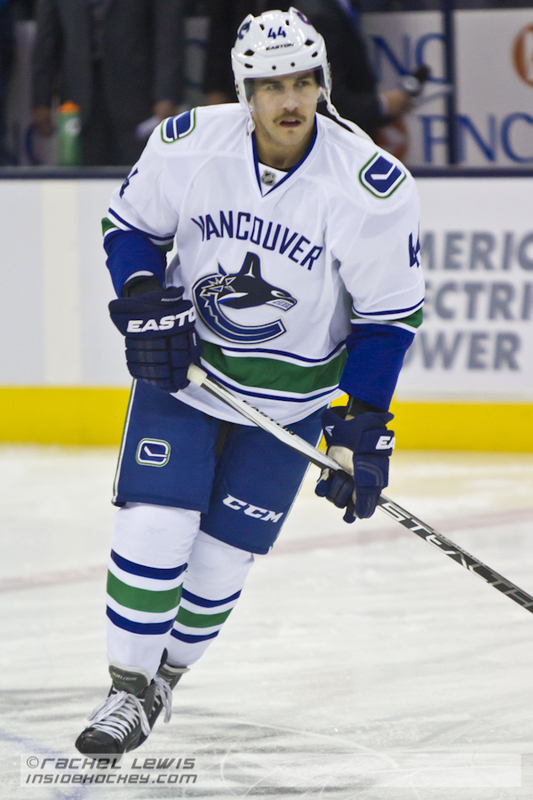 Henrik Sedin (VAN – 33). Scott Cracknell (VAN – 24). Janik Hansen (VAN – 36) skates the puck past Scott Hartnell (CBJ – 43). Boone Jenner (CBJ – 38) slams Yannick Weber (VAN – 6) into the glass. Brandon Sutter (VAN – 21) gets the puck past Sergei Bobrovsky (CBJ – 72).